Another of Cape Town’s suburbs divided by Main Road, Claremont, is virtually synonymous with the trendy Cavendish Square, and quaint semi-detached cottages much sought after as ‘starter’ homes or for the young and single. Claremont is some 20 minutes’ drive from the centre of Cape Town, either along Main Road or along the M3. It’s also easily accessible from town by train, and Claremont’s Main Road is a hive of activity as taxis joust for clientele, whilst rushing to get somewhere from here. The shopping malls - Cavendish Square and The Link - are vibrant hubs offering an amazing range of shops - most of them the bigger chain stores - but there are some classy boutique-style shops as well - particularly along Cavendish Street - behind the mall. This part of the upmarket Claremont has a cosmopolitan feel to it - there are wide pavements and little Victorian shop fronts - where the likes of Jenny le Roux, Susan Hansen and Gert van der Merwe rub shoulders - a fashionista’s dream! This part of Claremont is given over mostly to large residential homes and old and roomy apartments. Melissa’s food shop lies just a few roads behind Cavendish mall in Kildare Road, and Kirstenbosch Botanical Gardens are not far from here. Arderne Gardens on Main Road is a fashionable wedding photo destination and holds one of the richest collections of exotic trees and shrubs. Across the railway line lies Harfield Village, a collection of former labourers’ homes with a quaint collection of cosy tree-lined streets and little off-street parking - popular with the trendy set. 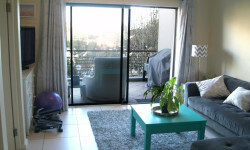 You’re close to the beaches of False Bay, Newlands cricket and rugby stadiums and the Constantia Winelands. 71 Belvedere Road, Claremont, Cape Town, Western Cape, 7708.